Coal moves along conveyors at the Deseret Power Electric Cooperative Mine northeast of Rangely. 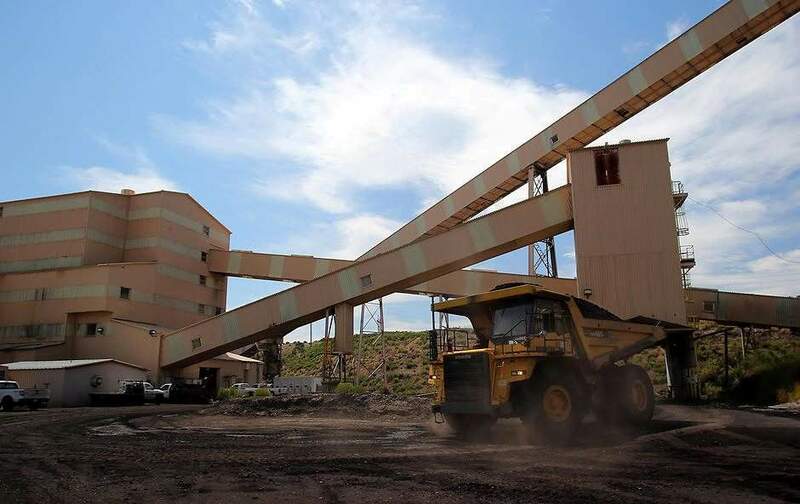 The Trump Administration’s move Tuesday to give states more authority to roll back federal regulations on air pollution from coal-fired power plants may not have much effect on Colorado. That’s because the Centennial State began its shift away from coal nearly a decade ago, with a state law called the Clean Air, Clean Jobs Act. The law set in motion a move toward more use of renewable energy and natural gas, and away from coal-fired power plants. Rep. Jared Polis, the Democratic nominee for governor, also criticized the president. Republican gubernatorial nominee Walker Stapleton has not yet responded to a request for comment. In a statement, Democratic U.S. Sen. Michael Bennet echoed Polis and the governor. Trump’s Affordable Clean Energy Rule replaces the Obama-era Clean Power Plan, which would have cut carbon emissions from U.S. power plants by about a third by 2030. In addition to the Clean Air, Clean Jobs act, Colorado is operating under a 2017 executive order from Gov. John Hickenlooper that pledges to reduce emissions.